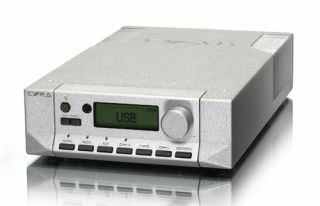 Cyrus reveals Stream Xa network music player for £1250; offers discounts on other models | What Hi-Fi? Cyrus is further expanding its range of streaming hi-fi products with the introduction of the £1250 Stream Xa uPnP (universal plug and play) network music player with internet radio. At the same time, it is offering discounts on selected streaming models as part of the company's 30th anniversary celebrations. Based on Cyrus's StreamX2 platform, the Stream Xa includes a high-performance DAC (digital-to-analogue converter) able to handle high-resolution audio files up to 24-bit/192kHz. File compatibility includes MP3, AAC (up to 320kbits/sec), Apple Lossless, WAV, FLAC and Windows media-formatted content-9. Connectivity includes six digital inputs: three coaxial, two optical and one USB. Its rear-mounted USB-A input offers direct connection to compatible Apple devices. The Stream Xa is also compatible with a wide range of NAS (Network Attached Storage) devices and computers. TuneIn internet radio is also part of the package, providing access to more than 80,000 radio stations around the world. Users can operate the Stream Xa either using the free Cadence iOS app (an Android version will folllow), or the supplied n-remote control. The latter has infra-red learning capability so can be programmed to operate numerous other products. Like all Cyrus's products, the Stream Xa has been developed and built in the company's Huntingdon factory and uses the familiar HA7 die-cast non-magnetic chassis. The casework has a bead-blasted aluminium finish in black or quartz silver. In other news, the Summer of Streaming promotion means customers can buy the Cyrus Streamline2 with n-remote for the lower price of £1200, or without the remote for £1000. The Cyrus Stream XP2 QX with n-remote drops to £2000; without remote it's £1800.